As most of you probably know by now Jason Isbell, one-third of the 3 headed Rock 'N Roll beast known as the Drive-By Truckers, is no longer in the band. I was sorely dissapointed when I heard the news but I was able to dilude myself into thinking that a Jason Isbell solo album would give me more time alone with my favorite songwriter of the three. Jason's debut album, Sirens of the Ditch, is a lot better than I expected after first checking out some samples on his Myspace and he will be playing The Bottleneck on August 11th with Centro-matic. 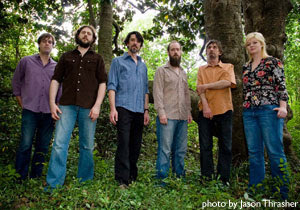 The Drive-By Truckers have replaced Jason with original member John Neff. Neff has played on four DBT albums already and will contribute both guitar and pedal steel.